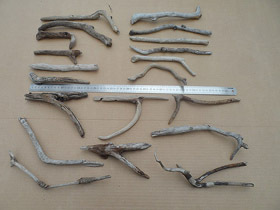 We have driftwood pieces for sale in South Africa, here on our Driftwood for Sale driftwoodforsale.co.za site! 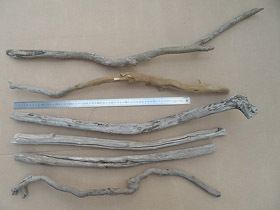 Order driftwood online in South Africa! 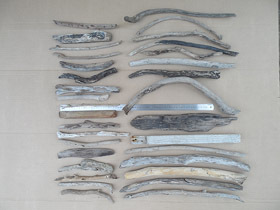 Our latest driftwood pieces for sale are pictured below. 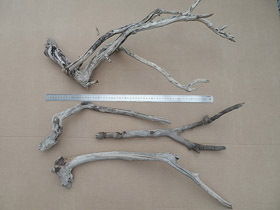 We do not sell loose driftwood pieces. 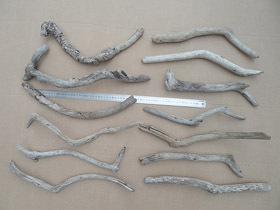 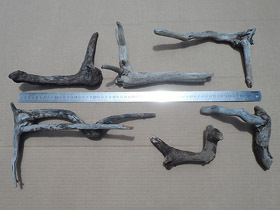 Instead, we sell driftwood LOTS – groups of driftwood pieces. 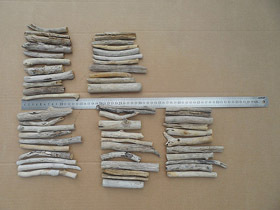 You need to order an entire lot, not just some of the pieces in a lot. 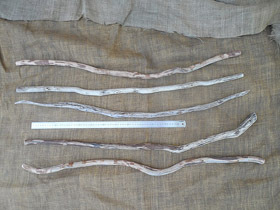 Also see HOW TO ORDER. 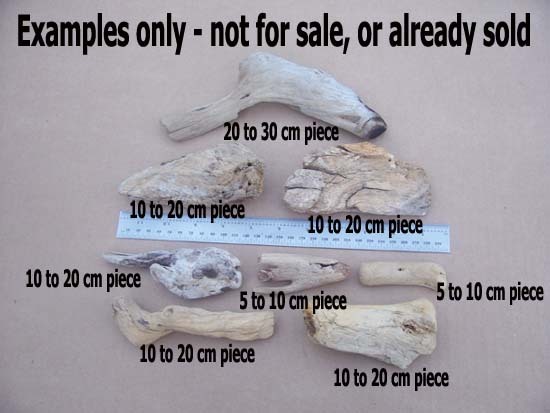 Click on any current driftwood lot for sale below to view a larger photo, more photos of that same lot (like close ups or photos taken from different angles), and information about that particular driftwood lot. 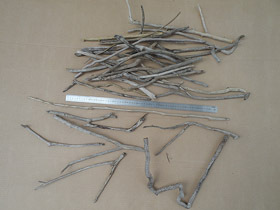 It’s a 60cm ruler in all photos. 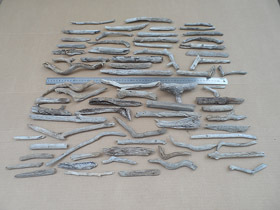 View examples of our different driftwood pieces for sale photos – SIZE CATEGORY LINKS BELOW! 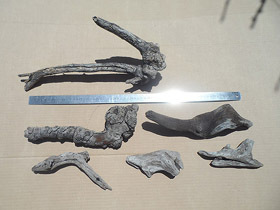 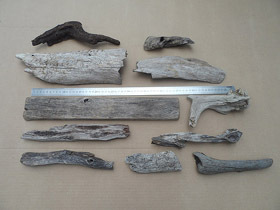 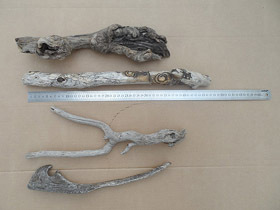 – click the links to view photos of examples of driftwood pieces in those size lengths – that we have either already sold or have had in stock at one time or another, or may still have in stock – these photos are just examples to give you an idea of the kind of driftwood pieces we may have in stock. 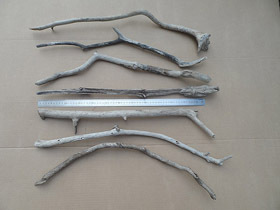 Our DRIFTWOOD PRICES for the different size categories are for “standard” driftwood pieces – nothing too fancy – we charge more for our “fancier” or “special” pieces. 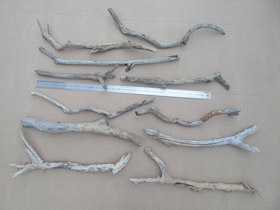 Another example of our “standard” pieces can be seen in a driftwood Christmas trees photo on the top left of our contact page – we use “standard” pieces in the driftwood Christmas trees that we make. 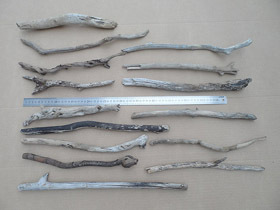 our prices and DISCOUNTS page, and our driftwood pieces already sold . 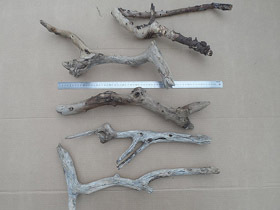 THESE DRIFTWOOD PIECES ARE ALREADY SOLD. 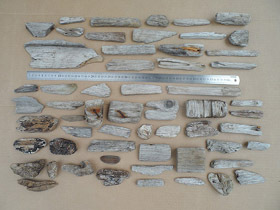 (The links below go to pages showing pieces already sold). 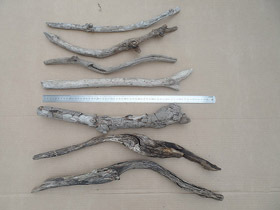 (Please select the driftwood lots you want from the current driftwood lots for sale further above on this page).